Although Windows 10 still comes as a free upgrade, some users are having certain problems with it. 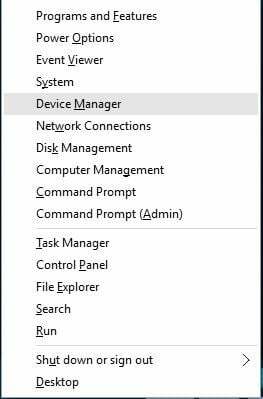 Users have reported that they are getting black screen with cursor on Windows 10, so let’s see how to fix this problem. You can also watch our video troubleshooting guide below to learn what methods to use in order to fix black screen issues on Windows 10. Press Windows Key + P shortcut to open Project menu. Project menu will now open, but you won’t be able to see it. Don’t worry, that’s perfectly normal. Now press up or down arrow key a few times and press Enter. If you are successful, your screen should appear. If your screen doesn’t appear, you might have to repeat this step a few times. 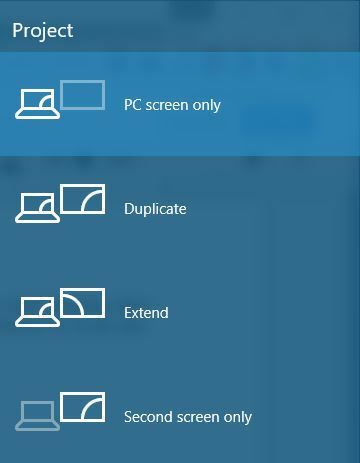 For some reason, after update to Windows 10, your project mode might change to Second screen only, and you need to change that by following our instructions. We’ve had this issue, and it was fixed after 6 or 7 tries, so it crucial that you be persistent. 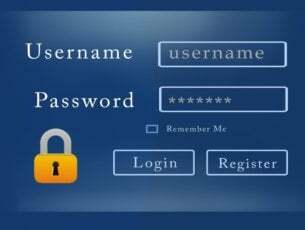 We have to mention that if your account is protected by password, you’ll have to log in first. To do this, press Space or Ctrl, enter your password and press Enter. This can be tricky, because you’ll be doing this on black screen, so it might take you a few tries. Press File > Run new task. Enter devmgmt.msc and press Enter to run it. While your computer boots keep pressing F4 or F8 (it might be a different key on your computer) to access Boot Options. Since Windows 10 boots a lot faster than its predecessors, this might not work, so only way to access Boot Options is after few restarts. In Boot Options choose Troubleshoot > Advanced Options > Startup Settings. Your computer will now restart, and you’ll be presented with list of options. Choose Safe Mode with Networking (or any other Safe Mode option). When Device Manager opens, locate your graphic card, right click it and choose Uninstall. If asked, make sure that you check Delete driver software for this device. 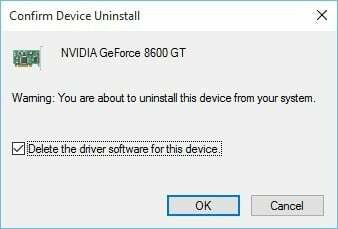 After you’ve uninstalled the driver, restart your computer. Windows 10 should start normally and black screen issue should be fixed. Right click it and from the menu choose Disable. Restart your computer, and check if the issue still persists. While your computer boots press F2 or Del (it might be a different key on your computer) to access BIOS. When BIOS stats you need to find and disable CPU graphics function or Dual monitor function. Save changes and restart your computer. Also, if you have CPU Graphics Multi-Monitor option, it’s also suggested that you disable it in order to fix this issue. After you’ve disabled this option, save changes and restart. This is a bit unusual solution, but users have reported that it fixes black screen before login problem. 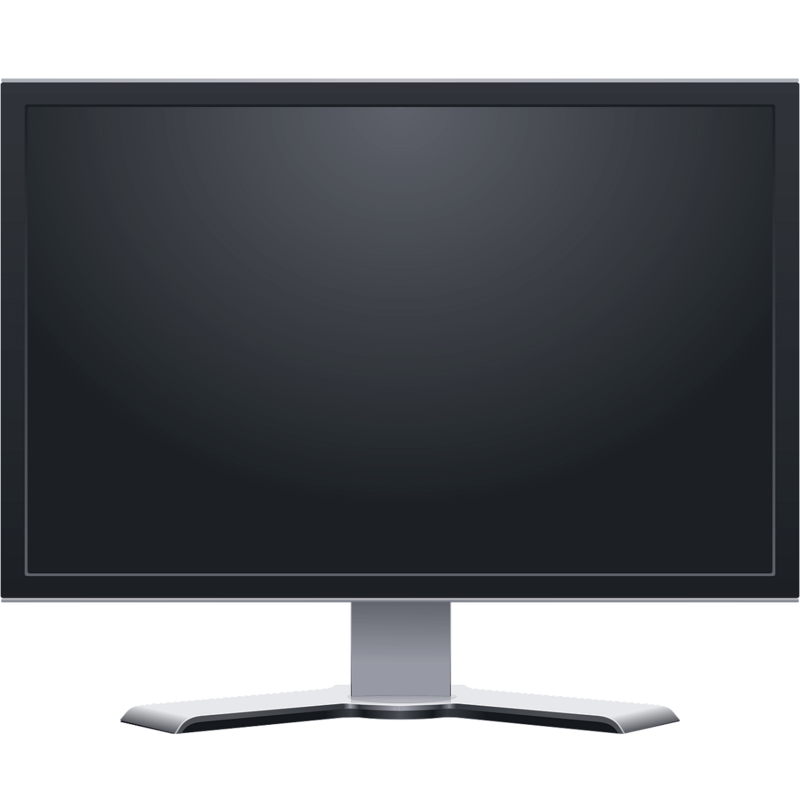 According to users, if you have a monitor with two connectors, such as DVI and HDMI, you need to connect your monitor using both DVI and HDMI cable. After you’ve done that, you can turn on your computer and check if the problem is resolved. Some users also suggest that you might be able to fix this issue by attaching an additional monitor, so if you have an extra monitor, try connecting it to your PC. Even if this doesn’t fix the problem, your second monitor should work without any problems. Some users claim that you can fix black screen with cursor after update by updating your BIOS. Updating BIOS is a procedure for advanced users, and if you don’t do it properly, you can cause permanent damage to your hardware, so please keep that in mind. In order to perform BIOS update, you need to go to your motherboard manufacturer’s website and download the latest version of BIOS for your motherboard. In most cases, there should be an instruction manual on how to update your BIOS, so make sure that you read it carefully. If you don’t know how to update your BIOS, please ask an expert to do it for you in order to avoid any potential damage. In Task Manager click File > Run new task. 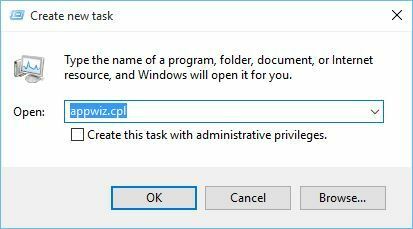 Enter appwiz.cpl and press Enter to run it. Programs and Features window will now open, and you’ll be able to uninstall problematic applications. If you can’t access Task Manager, you should enter Safe Mode and try this solution again. Sometimes, these applications can leave their files in system32 directory (for example, IDT Audio creates IDTNC64.cpl file and moves it to system32 folder). In order to completely fix this problem, you might have to find the problematic file and delete it manually or by using Command Prompt. Be very careful while doing this, because you don’t want to delete any core Windows 10 files. Press Windows Key + X and type Power Options. Choose Power Options from the menu. 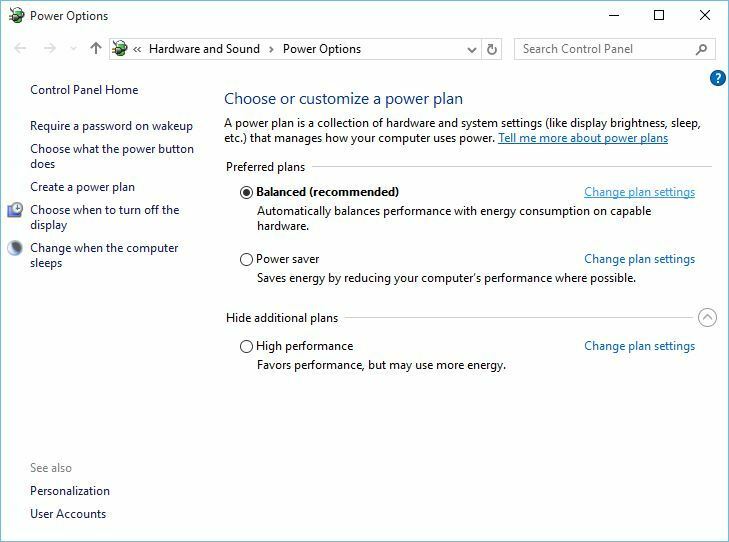 When Power Options window opens, find your current plan and click Change plan settings. Locate Display brightness setting and make sure that you set display brightness to 99% or 98% when your device is plugged in. As far as we know, setting display brightness to 100% when your device is plugged in causes this issue, so it’s best that you use a lower value. In certain cases, black screen with cursor on Windows 10 can fixed by unplugging your second monitor. NVIDIA users have reported that unplugging second monitor has fixed this issue for them, so make sure that you try it out. Find and expand Display Adapters section. Click View > Show hidden devices. In the Display Adapters section locate Secondary Output, right click it and choose Disable. While your computer boots keep pressing F2, F4 or Del key to access BIOS. It could be a different key, so you might have to repeat this process a few times. Once you enter BIOS, locate Display output setting and set it IGFX. This will make your integrated graphics the first display. If you have problems with black screen with cursor before login on Windows 10, you might want to try connecting your monitor to your PC with HDMI cable. Users have reported that you can use HDMI connection instead of DVI and it will fix black screen issues. Open Settings app and choose System. You should see several displays available. Select the display you wish to use as the main one and click Make this my main display. 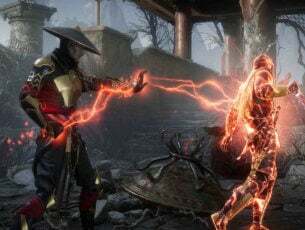 Some users have reported that enabling or disabling dedicated graphics fixes this issue for them. To do that, you need to enter BIOS and locate Graphic settings. Now you can choose between Switchable or Discreet option, depending on which one you want to use. If you want to enable dedicated graphic card, choose the Discreet option. We have explained how this process looks on one of our devices, but it might be completely different for your device. If that’s the case, you should check your instruction manual. Enter BIOS and make sure that your graphic card is set to use PCI-E slot. Sometimes this setting might get changed to PCI, and if that’s the case, just switch it to PCI-E option and save the changes. If other solutions don’t work, you might want to remove your computer’s battery and reset your BIOS. By doing this, you’ll break your warranty, so keep that in mind. If you don’t know how to do this properly, maybe it’s best to hire an expert to do it for you. In some cases, Fast Startup may trigger black screen issues. In this is the case, then you can quickly fix this problem by simply disabling this option. To to that, go to Control Panel > System and Security > Power options. 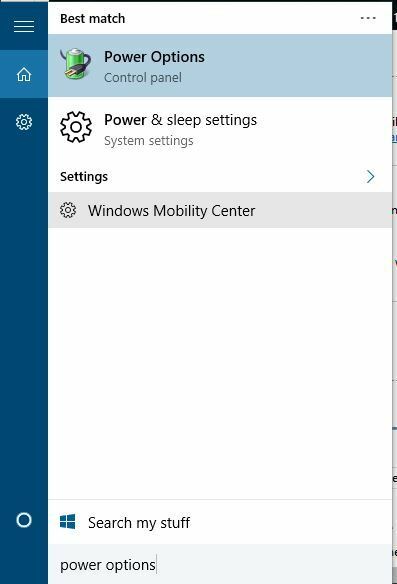 Then, go to ‘Choose what the power button does’ > Change settings that are currently unavailable > uncheck the option ‘Turn on fast startup (recommended)’. Make sure that you don’t have other displays such as monitors or even your TV connected to your HDMI port. If you have a device connected to HDMI port, Windows 10 might use it as the main display during the installation, so before you start your installation, make sure that you’re using only one display. In addition, you can always connect your monitor using the HDMI cable in order to fix this problem, or you can just disconnect the other display. 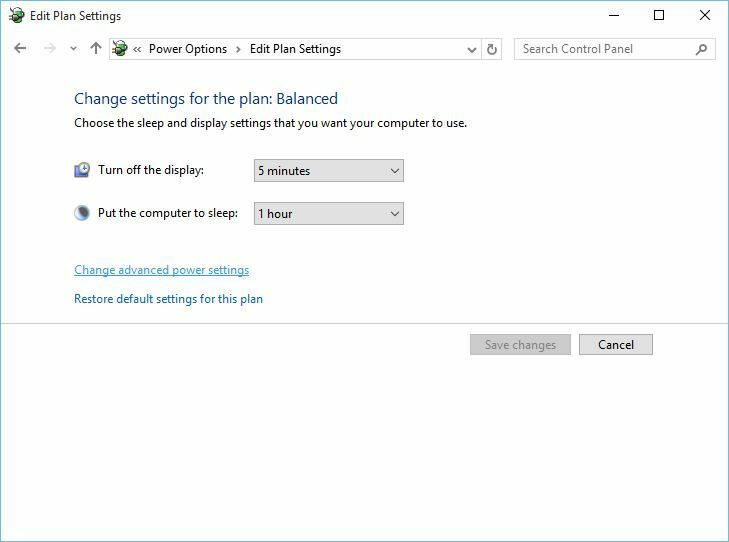 In certain situations, Windows 10 might not recognize your dedicated graphic card, so only solution is to connect your monitor directly to your integrated graphic card. After doing that, black screen with cursor problem will be fixed. If you’re planning to upgrade to Windows 10, you might experience black screen with cursor problem during installation if you don’t delete certain programs. Sometimes your antivirus or firewall can cause this problem during the installation, so you might want to temporarily remove them. In addition, if you use any tools that change the looks of your Windows, such as OldNewExplorer or ClassicShell, you should also uninstall them before upgrading to Windows 10. You can also check out this article on how to remove bloatware. 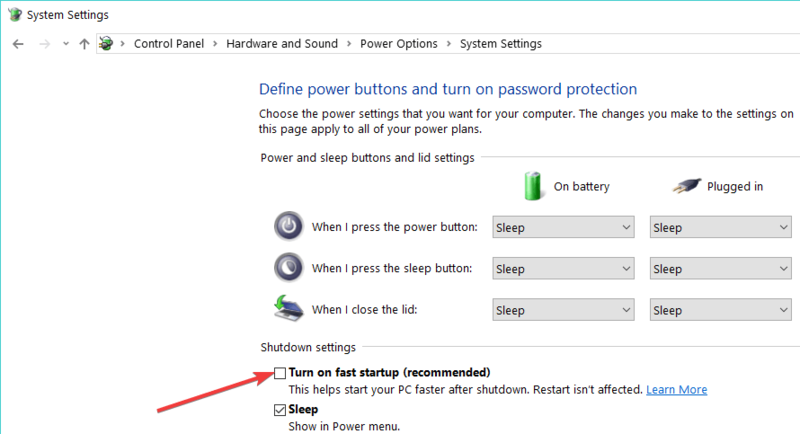 Black screen with cursor on Windows 10 can create many problems, but in most cases, you can fix it by disconnecting additional monitors, or by connecting your monitor to a different port. Editor’s note: we updated the article with more solutions, related content and made it more easier to understand for the reader. The original piece was written in Nov 1, 2017, but we have updated it with more solutions for 2019.